Looking for a Mercedes-Benz in Canada? Mercedes-Benz is a leading German luxury automaker, part of the larger conglomerate Daimler AG. Other brands under the company umbrella include Smart and Maybach. 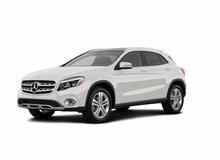 The current product line includes the B-Class, C-Class, CLA-Class. E-Class, S-Class, GLA-Class, GLC-Class, GLE-Class, GLS-Class, G-Class, SLC-Class, SL-Class, CLS-Class and AMG GT. This system is used to avoid collisions by utilizing advanced radar systems to emit visual and audio warnings to the driver. If the driver fails to react, the system will automatically apply the braking system to prevent a rear-end collision. 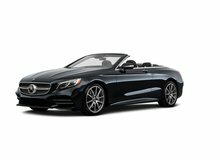 It is available on the C-Class, CL-Class, E-Class, S-Class, and the SLC-Class. This allows drivers to identify objects in dimly lit areas with the support of an infrared camera. The infrared range is 150 meters and the video image is viewable in the instrument panel. It is available on the E-Class, S-Class, CL-Class and CLS-Class. This system employs an advanced camera and monitoring system to identify when the vehicle departs from its lane. If the system detects that the vehicle is departing from its lane, it vibrates the steering wheel to alert the driver and uses selective braking if necessary to steer the vehicle back to the lane. It is available on the C-Class, E-Class, CLS-Class, and S-Class. This is a full-time all-wheel drive (AWD) system that allows power to be distributed equally among each wheel. This allows for maximum traction and stability over different road surfaces. This is available on the C-Class, CL-Class, CLS-Class, E-Class, M-Class, GLC-Class, GL-Class and S-Class. Mercedes is also progressing in reducing vehicle emissions through its BlueEFFICIENCY technologies. This is done by using lightweight materials, a start/stop function, and energy-efficient power steering. There is also a hybrid line, which is a combination of gasoline and electric motor systems. The S400 HYBRID is reported to be the world’s most fuel efficient luxury sedan, using lithium-ion batteries. 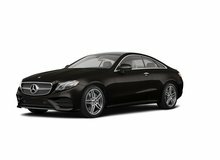 The S-Class is considered to be the most luxurious sedan in its class against other competitors such as the BMW 7 Series and Lexus LS. The exterior design is aesthetically pleasing to bring presence while on the road. It is loaded with advanced features such as a THERMOMATIC individual climate control system, premium leather, and climate comfort ventilation. 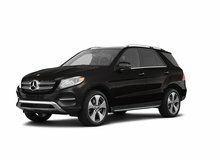 Different trims are also available in a 4MATIC all-wheel drive system, a HYBRID, and an AMG version. The C-Class is the best-selling model for Mercedes, with two body styles, a sedan and a coupe to select from. 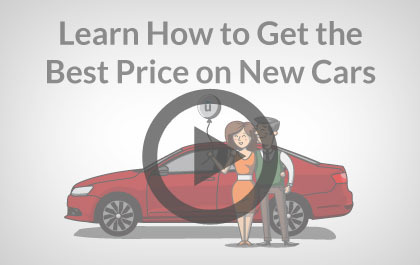 It is also one of the best-selling entry-level luxury car in Canada and the United States. The C-Class comes in different trims, including a 4MATIC, AMG, and Black Series AMG. 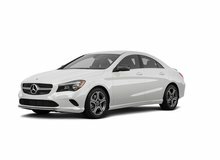 Innovative technologies such as a COMAND APS system, PARKTRONIC parking guidance, and an Adaptive Highbeam Assist are available on the C-Class. It is in direct competition with the BMW 3 Series, Audi A4, and Lexus IS series. 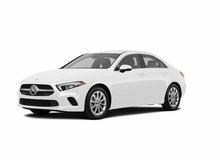 Unhaggle is not affiliated with or endorsed by Mercedes-Benz in any way nor does Unhaggle endorse any products, services, or websites that may be referred to in, or linked to, this site. All product names, trademarks, and trade names are the property of their respective owners.